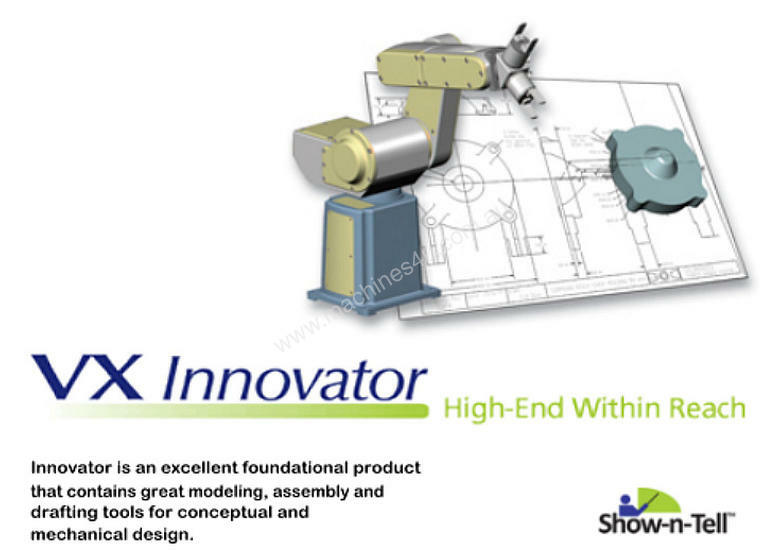 VX Corporation, formerly Varimetrix Corporation, is the pioneering developer of advanced, integrated CAD/CAM solutions for engineers and industrial designers. Using VX’s design-through-manufacturing solutions, companies can speed time-to-market, increase profitability and gain a sustainable competitive advantage - made possible by new breakthroughs in technology, price and performance. VX has successfully integrated solid, surface and wireframe modeling through a unified parametric strategy. Moreover, manufacturing process planning and CNC machine routines are also an integral part of the core VX CAD/CAM™ engine, ensuring 100 percent synchronization and associativity between design and manufacturing. 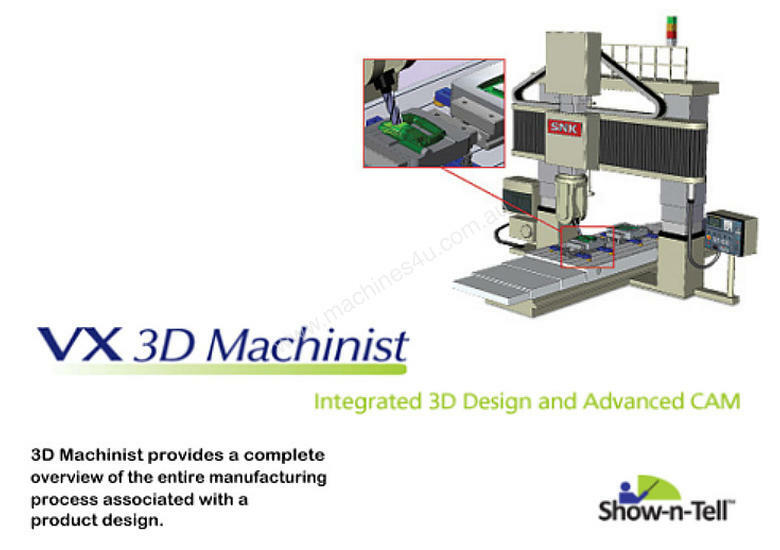 With this proprietary technology, users can easily learn in hours how to freely define complex solid, surface and wire-frame geometry as well as perform difficult assembly and manufacturing tasks. VX software is built on the VX kernel, which provides the technology foundation of VX products. This exclusive, high-performance engine powers the full range of 2D drafting and 3D modeling tasks, from industrial design and mechanical engineering through to process planning and toolpath generation. As a result, the VX family of integrated products forms a comprehensive CAD/CAM system made possible by the hybrid modeling approach pioneered by VX. No other company has more experience with this technology than VX, and no other product is as seamlessly integrated. VX CAD/CAM is the culmination of years of research and development and represents a commitment to the ongoing goal of producing premium performance CAD/CAM technology at a value price. VX CAD/CAM includes a full suite of tools for mechanical design, industrial design, and assembly design as well as visualization, drafting and manufacturing. VX’s unified architecture provides seamless data sharing and integration across a wide variety of applications. FABDesign is the VX module that adds specialized design and manufacturing routines for sheet metal components and assemblies. With VX FABDesign, a designer can create a feature-based solid model of a sheet metal part in the context of a full 3D assembly, folding and unfolding the entire part or individual bends at will and adding features such as louvers, dimples, flanges, and bends to the part in the folded or unfolded state. As the part is designed, manufacturability is ensured through automatic creation of bend allowances and relief. layout and detail drawing package. VX CAD/CAM extends enterprise-level mechanical design and manufacturing capabilities to the desktop-at a fraction of the cost of comparable systems. VX CAD/CAM's fully-integrated CAD/CAM environment provides the intuitive user interface, advanced three-dimensional modeling and open, powerful engine needed to rapidly develop high-quality products. VX CAD/CAM truly delivers on the design-through-manufacturing promise. The exclusive VX kernel provides an integrated CAD/CAM development platform, a next-generation hybrid modeler, and APIs open to emerging process management and engineering tools from leading CPC, PDM and CAE players. VX CAD/CAM pulls together people, processes, parts and paperwork. CAM built-in from the start. CAM is native to VX CAD/CAM -- not an add-on, afterthought, or third-party solution. The manufacturing planning and CNC machine routines in VX CAD/CAM are an integral part of the modeling engine, ensuring 100% synchronization between design and manufacturing. Changes to design geometry on the fly are automatically reflected in changes to manufacturing operations. VX CAD/CAM eliminates the traditional gap between CAD and CAM. Value-priced premium-performance design on the desktop. VX CAD/CAM delivers capabilities to the desktop traditionally reserved for expensive, enterprise-class systems. The intelligent sketching in VX CAD/CAM is second to none. Features such as surface modeling, geometry healing, flexible history control, automation templates, concurrent engineering and manufacturing put productivity into high gear. VX CAD/CAM users no longer have to choose between price and performance. VX CAD/CAM’s open, scaleable architecture is built to meet the growing demands of the manufacturing marketplace and accommodate business expansion. Manufacturers with unique needs can take advantage of the free, open and robust VX API for easy customization. Third-party developers can easily build specialized add-ons optimized for the powerful VX modeling engine. VX CAD/CAM was built to support the user’s business strategy - and emerging growth opportunities. Prior to bringing to market the next generation of hybrid modeling tools in 1999, Varimetrix created mission-critical modeling software for several international manufacturing companies. Over the past 15 years, the company’s employees have applied their depth and breadth of knowledge - industrial design, engineering, mathematics, rapid prototyping and manufacturing - with their passion for product innovation. With VX CAD/CAM, customers apply advanced technology and expertise to achieve leadership status. If you can imagine it, you can manufacture it. VX CAD/CAM simplifies complex, resource-intensive tasks, manages 3D models with ease and keeps a complete history of revisions. This ensures product development integrity -- without compromising manufacturing methods or deadlines. 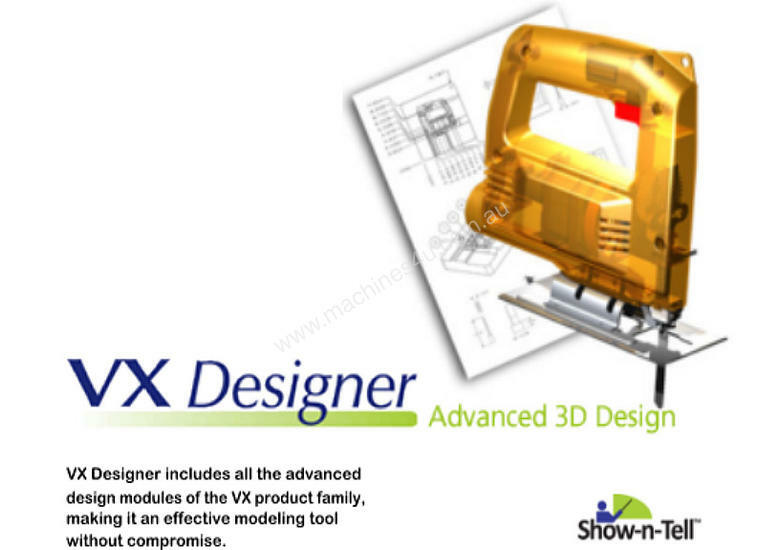 VX CAD/CAM offers intelligence, sketching, dimensioning, advanced surface/solid modeling and a whole lot more. With VX CAD/CAM, users are only limited by their imagination. Where solids and surfaces meet. 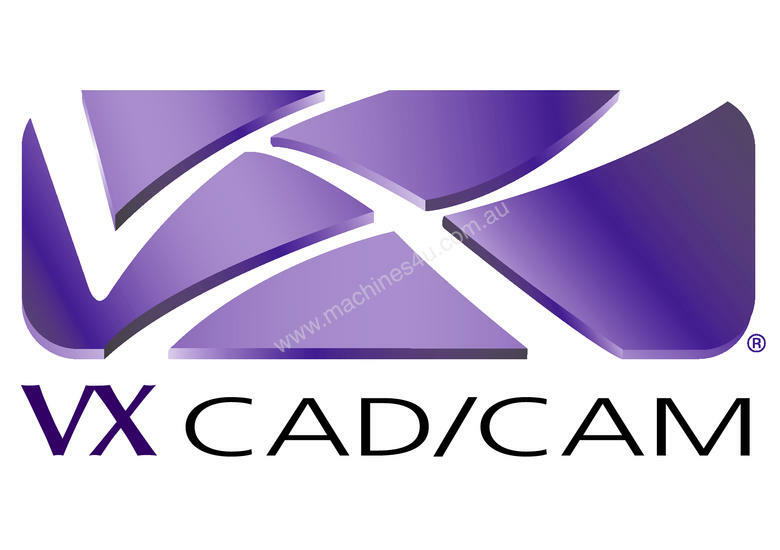 VX CAD/CAM is a true hybrid system, providing a seamless union of solid and surface modeling. By enabling users to effortlessly and simultaneously work in both worlds, VX CAD/CAM delivers the strengths of each without the drawbacks of either. With VX CAD/CAM, users no longer have to choose between speed and flexibility. Whether you work in the consumer product, discrete manufacturing or aerospace industry, VX CAD/CAM provides a full toolbox of drafting, hybrid modeling and assembly functions that equal or surpass high-end systems. 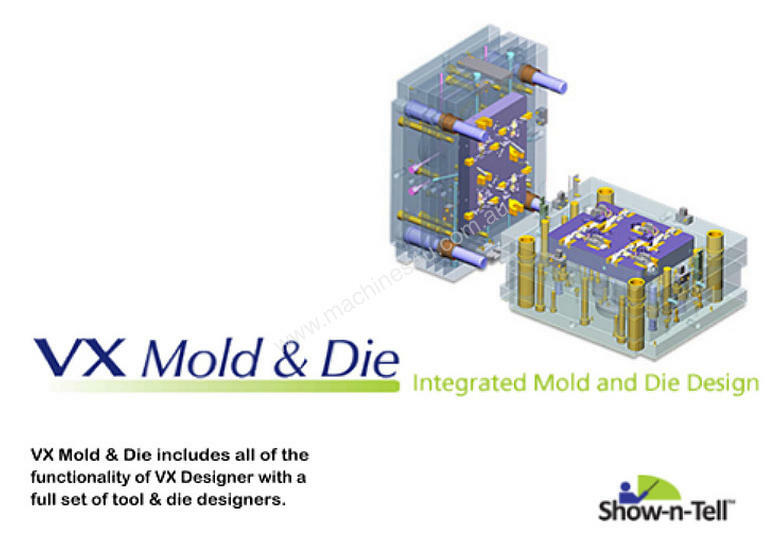 The software also provides specialized functionality for mold design, sheet metal design, graphic rendering and CNC machining. With VX CAD/CAM, users can leverage a complete solution for designing and manufacturing products. VX CAD/CAM is a dream-come-true for industrial designers and engineers. The product’s intuitive graphical interface, limitless undo/redo and rich feature set inspire creativity and productivity. With VX CAD/CAM, users can meet the ultimate design and manufacturing challenges - and have fun doing it. VX CAD/CAM's advanced design capabilities gives companies competitive advantages by being able to develop aesthetically-pleasing and ergonomic products targeted for a consumer-rich marketplace. With VX CAD/CAM, users can create products that respond to consumer demand. MASTERWORK: Skillness in the factory!